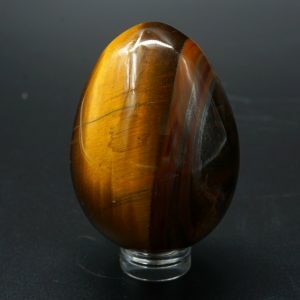 TIGER’S EYE is one of a small group of silicates which, when appropriately cut, reflect shimmering, golden bands of light. This quality, known as chatoyancy (French for cat’s eye), is produced when light is reflected from tiny, fibrous inclusions oriented in parallel within the stone. Iron oxide gives Tiger’s Eye its golden brown color, while Cat’s Eye is greenish-gray, Hawk’s Eye is blue-gray, and Bull’s Eye is mahogany. 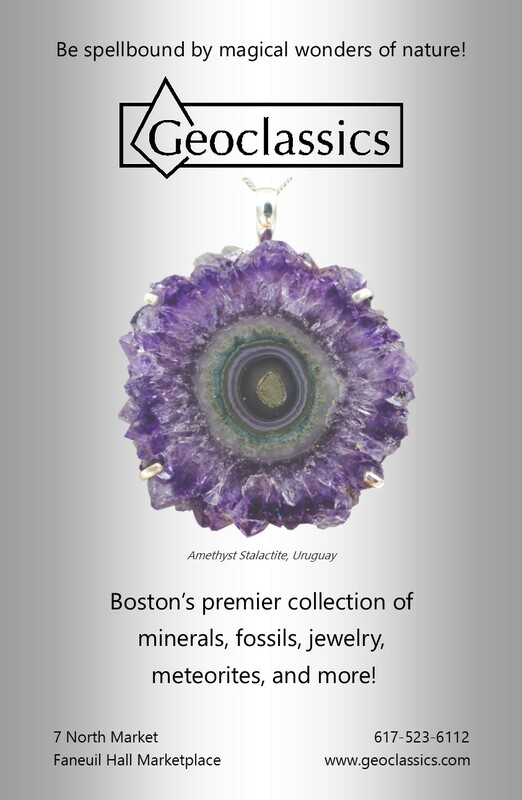 Tiger’s eye is found primarily in South Africa, but also in Australia, Burma and California. 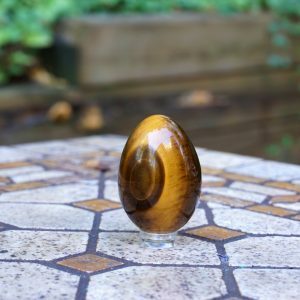 Though all of the cat’s eye stones are said to enhance perception, Tiger’s Eye is particularly useful for bringing mind and body into balance, creating an overall sense of well being.